Enhance your adventure and achieve victory with the Kharl Zeon Pilot Pack and his Pilot Ability: Vortex Shield. Return enemy fire with this gravity master. 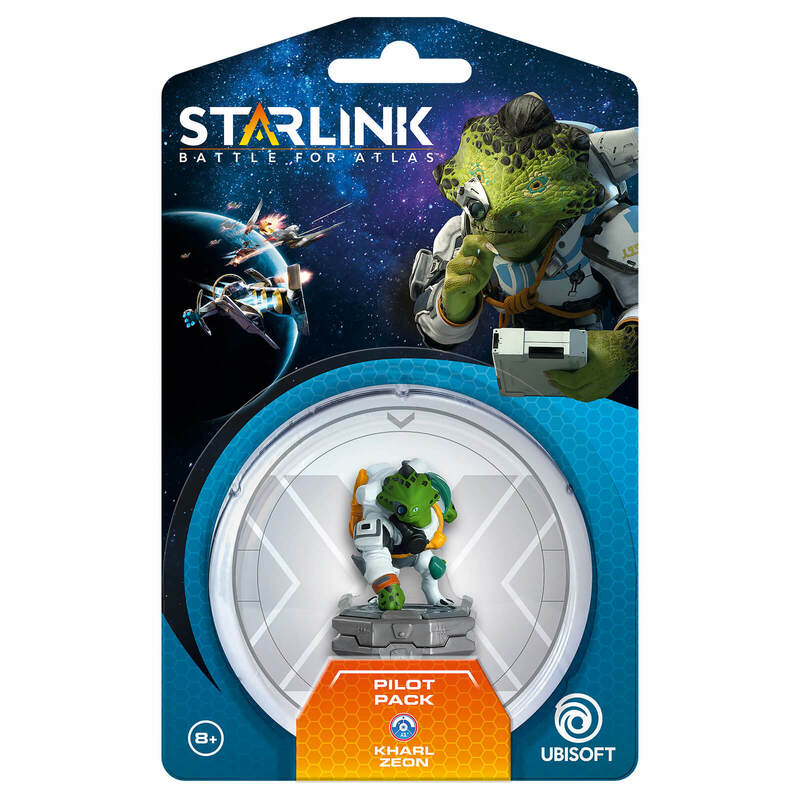 The Starlink: Battle for Atlas starter pack is required to play with Starship, Pilot and Weapons packs. All Starlink modular toys only work with Starlink: Battle for Atlas™ video game and controller mount on the Nintendo Switch. Kharl Zeon is an Expedition scientist who’s happiest at home in the lab. His quick-firing intellect often distracts him from everyday things like social niceties. He harbors a lifelong fascination with the Wardens, and dreams of unlocking their ancient mysteries.